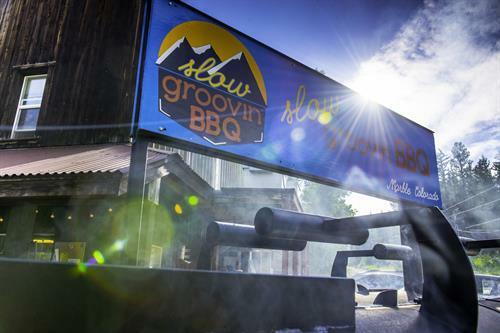 Slow Groovin BBQ strives to create an exceptional destination dining experience. Set in scenic Marble CO, Slow Grooving BBQ offers up a unique taste with meats dry rubbed and smoked in-house, signature appetizers and entrees, as well as a full bar with signature cocktails. A seasonal restaurant open from May thru October, Open 7 days a week from 11am to 9pm. The team at Slow Groovin is proud to offer multiple styles and packages to meet our client's catering needs. From Food Trucks to traditional BBQ buffets we have you covered.